Emerson College Esports qualified to compete in the Boston Uprising Collegiate Cup tournament. One group of six Emerson students competitively playing the video game “Overwatch” can be crowned the best college team in New England and watch Boston’s professional team, Boston Uprising, play in Burbank, Calif.
Esports consists of competitive team-based video gaming. 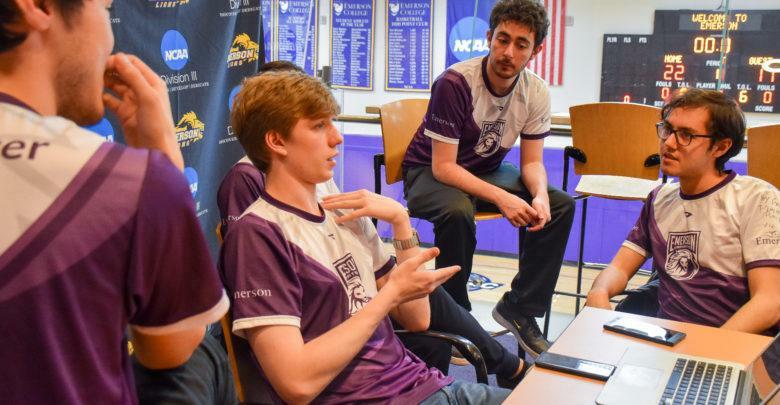 Emerson’s “Overwatch” team qualified for the tournament through a round-robin type bracket splitting twelve teams into four groups of three on Nov. 17. The winning team from each group made it through to the live event on Dec. 8. “Overwatch” is an online multiplayer first-person shooter video game consisting of two six-player teams competing against each other in a variety of game modes. Like most video games, people casually play “Overwatch” for individual entertainment, but some players created leagues and divisions to showcase their talent. Boston Uprising will host the Boston Uprising Collegiate Cup, which is set to include four of the top twelve teams in New England. 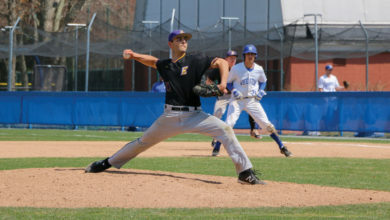 Emerson ranks last out of the invited teams, following the University of Connecticut, Boston University, and Northeastern University, respectively. Teams compete in tournaments for prizes ranging from trophies to money awards amounting up to millions of dollars. In 2016, a single tournament hosted by the creators of “Overwatch,” Blizzard Entertainment, granted the winning team $1 million. Emerson Esports Organization President Neal Sweeney said he wanted to compete in an “Overwatch” tournament for a while but never had the chance. When the opportunity finally presented itself, he said the team jumped on board. The Kraft Group, a Boston-based investment corporation, is the primary shareholder of the Boston Uprising team and played a significant role in the creation of the collegiate cup, according to Sweeney. Despite being part of the initial planning of the event, one of the team’s longest standing players, Austin Litt, known by his username “AustNSpace,” said the team did not receive a free invite to the tournament. They, like the other eleven teams interested, had to compete to get in. Team Captain George Capalbo, who goes by the username “Stormyness,” joined Emerson’s team in fall 2017. Capalbo said the team has been together for a while, which helps their chemistry. “We’ve gotten really good together and we’ve become really good friends,” Capalbo said. Unlike other Esports games, “Overwatch” requires significant team coordination—no individual standout-player can typically carry a team to victory. Capalbo said he made some of his closest friends by playing for the team. Capalbo said he feels confident in his team’s ability and believes they have what it takes to bring home the collegiate cup trophy. 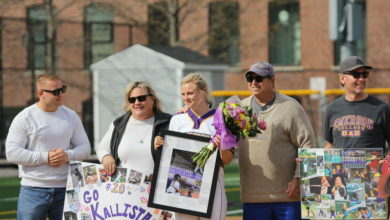 Emerson will play first-seeded Northeastern in the tournament’s opening matchup. Whichever team wins will play the winner of the University of Connecticut and Boston University matchup in the championship. Each match will consist of a best of three style where the first team to win two games advances. The official event is closed to the public, but Boston Uprising’s Twitch channel will broadcast all of the matches beginning at 12 p.m. on Dec. 8. Clarification: A previous version of this article stated that Kevin Mitchell was an Esports professor at Babson College. Mitchell is an Esports professor at both Babson College and Emerson College.